Superdry men’s Premium Goods t-shirt. 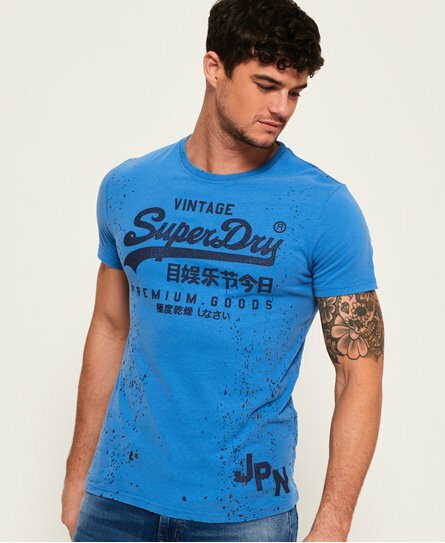 This classic crew neck t-shirt features a distressed Superdry logo print across the chest and a JPN logo above the hem. This must have premium goods t-shirt has a distressed finish along the neckline, sleeves and hem.